The Hive Honey Shop have been invited to Covent Garden to be featured as the local honey and bee expert who will talk about bee keeping, the benefits of using locally sourced honey, medicinal purposes and interesting facts on urban beekeeping. We will be in the Covent Garden Piazza on Thursday August 13thfrom 1-1:30pm. We are providing a FREE beeswax candle rolling session for children. So they can take away their very own hand-made honeycomb candle on the day. The food markets currently take place every Thursday from 12pm-8pm at Covent Garden and feature a range of delicious food produce stalls from some of the UK’s best traders including SJ Frederick & Sons (free range label Anglais Chicken), Northfield Farm (free range organic beef), The Flour Station and The Arabica Food & Spice Company to name a few. 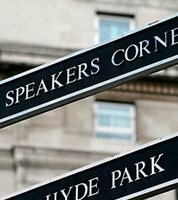 The Speakers Corner will be running alongside the markets in August and will feature talks and demonstrations from experts across a range of really interesting food related topics. So write this date down now to come and meet us, find out more about bees & beekeeping or just to say hello!